Capcom’s main western studio is being shut down, the publisher confirmed today. Employees at Capcom Vancouver, which was primarily known for the Dead Rising series and was already hit by layoffs earlier this year, were told today that the studio is closing. According to Capcom, 158 people will lose their jobs due to the shutdown. “A skeleton crew will remain until January 2019 to finalize closure operations and logistics,” the rep said. Capcom Vancouver was founded in 2005. 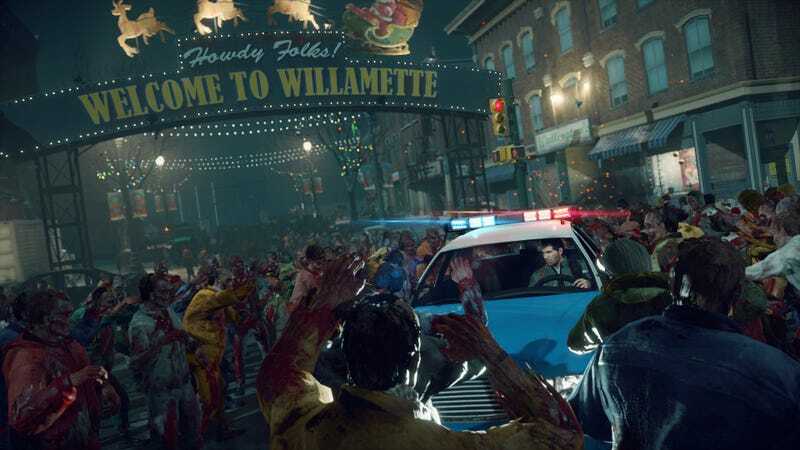 The studio’s main output were Dead Rising games, third person action games that pitted the player against hordes of the undead. While the first Dead Rising had been developed in Japan, several sequels were made in Vancouver, with a new one expected in the future. With Vancouver’s projects cancelled, it’s unclear what the future of the Dead Rising franchise is. The number of developers losing their jobs with this shutdown is high, though the studio has been losing people for some time. One source tells Kotaku that many Capcom Vancouver employees had been heading to EA Vancouver in recent months. “We appreciate the hard work and contributions of all the studio team members in creating unforgettable gameplay experiences for the Dead Rising series and Puzzle Fighter,” the Capcom company rep said today. Additional reporting by Jason Schreier.